This smoke-free, pet-friendly inn offers free Wi-Fi and is close to BWI Airport, the University of Maryland, FedEx Field and downtown Washington, D.C. 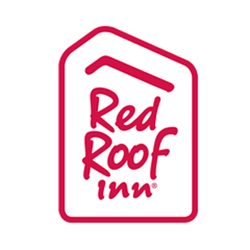 Located just 12 miles of downtown Washington D.C., Red Roof Inn Washington, D.C., Lanham is just sic miles from Six Flags, five miles from FedEx Field and eight miles from the University of Maryland. This location is just 22 miles from the Baltimore Washington International Airport. Featuring exterior corridors, this inn offers comfy new beds by Serta, plush bedding, free Wi-Fi and flat screen TVs in all guestrooms. Mini-refrigerators and microwaves are available in select rooms. Enjoy free coffee/tea in the lobby and as always, Red Roof Inn is 100% pet friendly!